Making and managing of individualized offers, services and information. The Landing Page is a great tool to give the user important information about the current location. 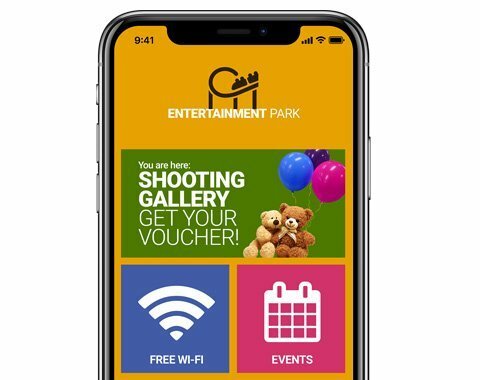 The Landingpage has the advantage, to show the user offers, advertising or special information from the surroundings directly on his own smartphone without other additional costs resulting for the operator. To offer the Wi-Fi user relevant contents and functions all information on the landing page is designed clearly with buttons and banners. Every button is defined to lead to an external link or an article in the native editor. Optionally also available software modules can be linked. Banner are exclusively used to link to external contents (websites). Whiles linking there can be passed on either location or device information to the external source. As you can use and manage an unlimited number of banners per landing page , Banner Management became a very important tool. The links of your advertising partners will be adapted for each device. If the customer device is set to French, a french banner can be displayed. Furthermore you can collect data such as language, location and MAC-adresses and send it to the advertiser’s website, that he can use it for his responsive design. Through the rotation of the banners you can generate a new source of income – otherwise you can use the banners for self-promotion. It is possible to let the banners rotate whenever the customer gets the landing page displayed, otherwise you can manage it by date, time or according to the time period of an event, e.g. for Christmas. 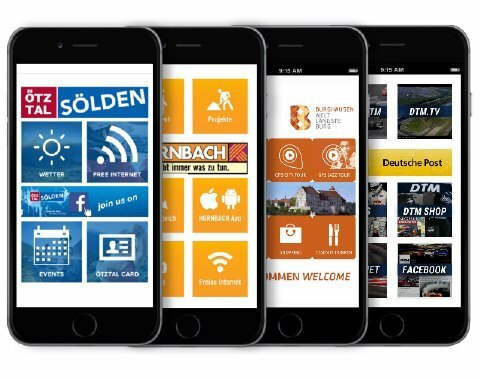 Due to the core elements USER PROFILING and LOCATION-BASED-SERVICE it is possible to place the banners efficient by user group and location. So the end customer gets advertisements especially for his interests, based on his current location. The statistics are separated in different groups – which banner was clicked at which time and location. Thereby you get very good statistics from the pay per click and pay per view version to show your advertising partner the commercial value of his advertisement. Now you can use the system well in advance to keep the Landing Page always and on every location up-todate. You can adjust when the Landing Page should change, if buttons are added or removed or if a completely new page appears. Of course the contents are current and fitting to the time. Whether it is to be changed seasonally, depending on the settings every week or every day, can be set and is enabled automatically. 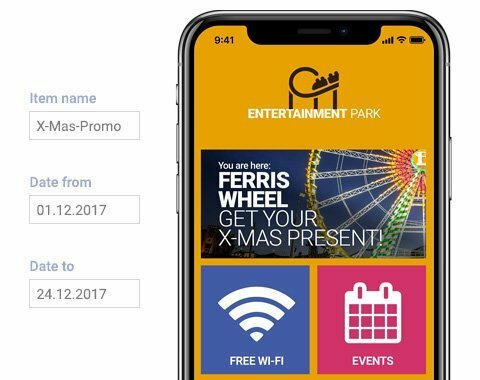 For example, in a tourism area when the mountain railway is closing on the Landing Page the event calendar appears to show where the next party is or when the night sledge journey begins. Every Thursday there is a special offer of a retailer which offers shirts between 10 and 12 o‘clock about 10% reduced. With the Scheduler, every Thursday between 8 and 12 this offer appears on the Landing Page. In a municipality every Wednesday is garbage disposal day. With the Scheduler you can automatically let indicate this tip be displayed every Wednesday. Or parties and events one week before beginning. Of course the Landing Page jumps back again to the original after the set hours or days passed. Make marketing more accurate by digital Location-Based-Service combined with a User Group Analysis and Profiling. The module User Profiling is activated in the LOOP21 software. The module settings are as simple as just four steps: First you define your questions (USER TAGS) and of course the possible answer options (USER ITEMS). Then you design the questionnaire which will be displayed to your customers (USER FORM). It is possible to have drop-down answers or boxes to be ticked. Last you group the answers to define USER GROUPS. Yet your User Profiling module is already ready to use. You can evaluate the statistics and develop special offers for the various user groups. So your customers can be guided. Once connected to the Wi-Fi the user gets after they have answered the questionnaire to a Landing Page where you can present them special offers and/or provide Internet access. If the user does not fill in the questionnaire some sections of the Landing Page are not available or greyed out. Of course you can also deny them the access to the Internet. To generate advertisement with as little as possible expense the LOOP21 software offers the module Share your Moment. 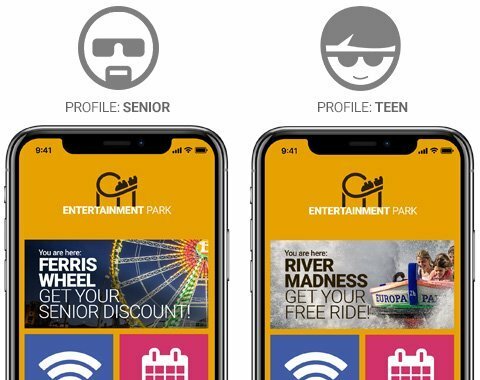 The system is accessible with a click via the Landing Page and the guest’s picture will immediately be uploaded into the local community page or even on the website of the operator. 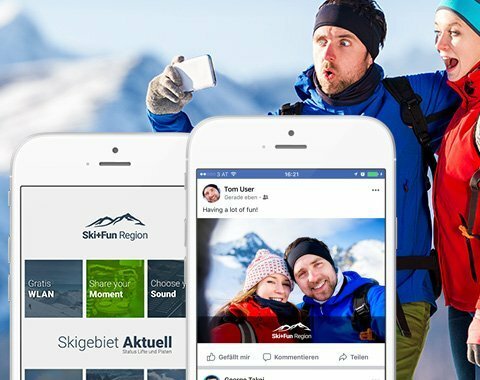 The positive customer feedback is huge because everybody wants to share their experiences, impressions and photos of a thrilling day with the community.If shopping, walking, skiing, sightseeing, at a cool event, with Share your Moment you are always present. But the software can do even more. Overlay function for image files (logos) which size and position is chooseable. Separate release process for the operator and the photo collection is implementable into every web page. To receive customer information efforts the LOOP21 software offers the module Customer Survey. The system is multilingual and adapts its language automatically fitting to the respective device or user. 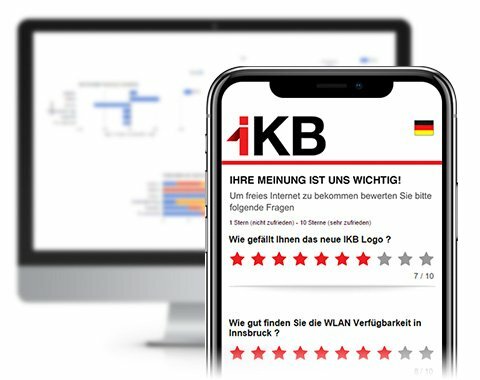 The user connects to the Wi-Fi and before he reaches the Landing Page, a site with some questions which he can value with 1-10 stars appears. After the questionnaire the Landing Page appears and also the access to the Internet. The customer resonances are convincing and also really expressive, because while giving answers anonymously the results are rather truthfully, than during personal interviews. The visitors who have already answered the questionnaire in the past, will be passed automatically to the Landing Page until a new questionnaire is online. Immediately the operator receives exact statistics how many visitors have taken part in the survey, how many stars were awarded at which questions, and a graphical presentation of the processes. Of course the list is exportable as an XML or CSV. With the LOOP21 module Emergency Service, you can provide the guest with up-to-date information already on the way, in the cable car cabin. Where avalanche risks, where are technical disturbances, or when to make the last downhill to come back to the valley station in time. Simply mark on a map the areas which are in danger of avalanches or where technical disturbances occured. All active connections of the user will be disconnected and there appears a warning announcement on his smartphone in real-time. Of course the module recognizes which language is set on the device and the warning announcement appears automatically in the right language. Of course you can allow to indicate the emergency announcements in all or only in certain Wi-Fi areas. 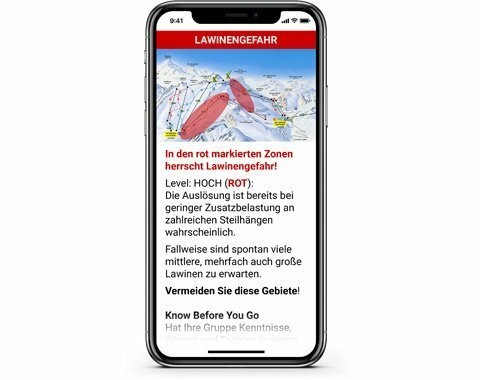 In the rest of the skiing area the information continues to show the normal contents such as restaurant info, mountain weather and location-related information.